Available now at Sherwin Williams locations. 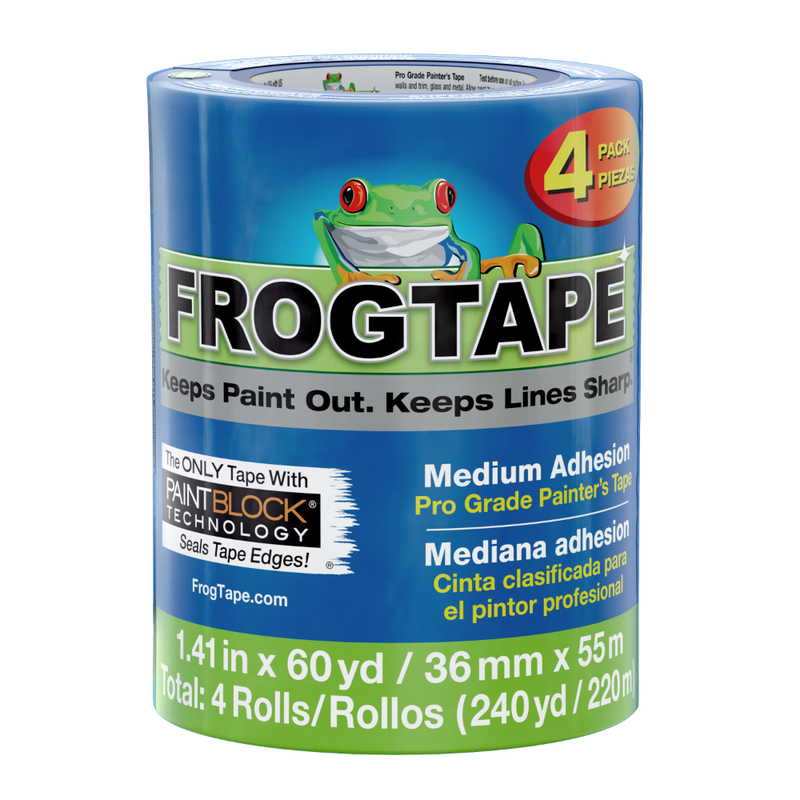 FrogTape® Multi-Surface painter's tape features medium adhesion, and will remove cleanly from most surfaces for up to 21 days and seven days in direct sunlight. 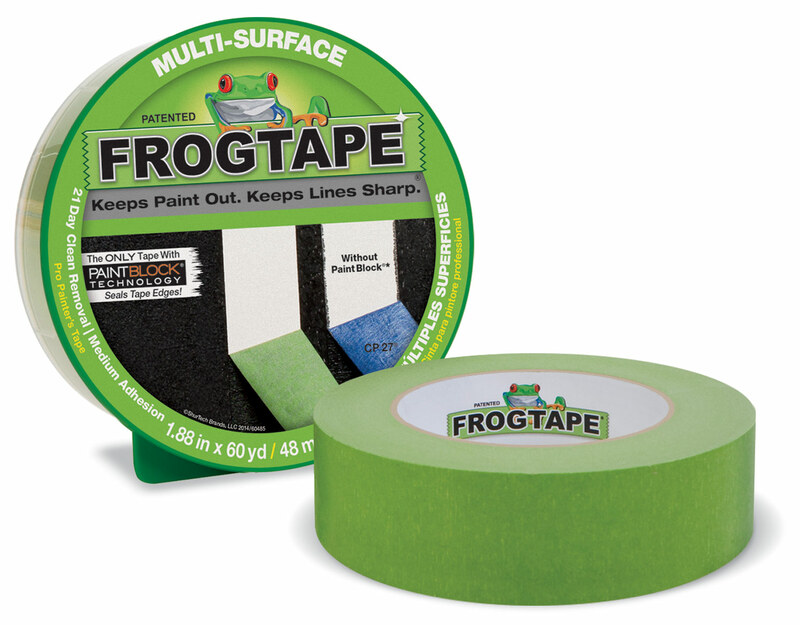 This green painter’s tape is ideal for masking a variety of surfaces, and is perfect for both basic and advanced paint projects. 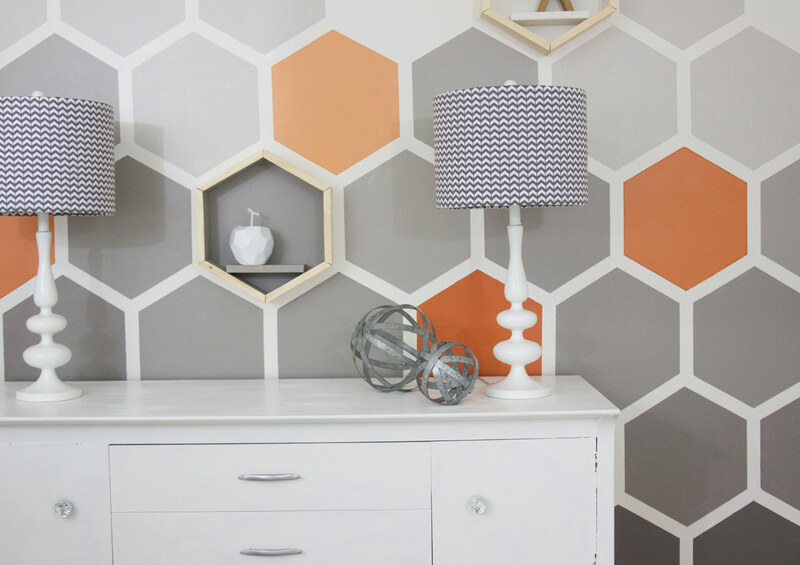 Avoid use on freshly painted walls, drywall, wallpaper and other delicate surfaces. 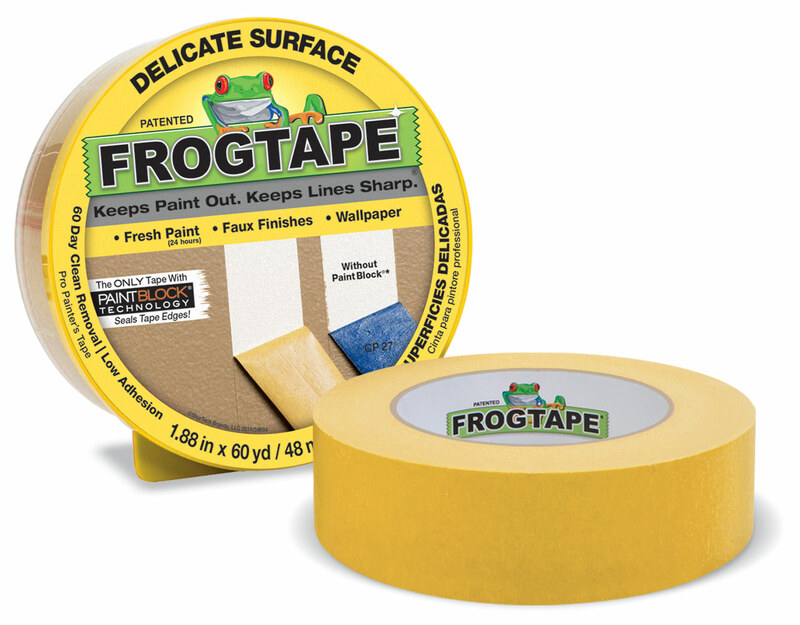 FrogTape® Delicate Surface painter's tape features low adhesion, and will remove cleanly from most surfaces for up to 60 days. This yellow painter’s tape is ideal for masking delicate or freshly-painted surfaces, but can be used for application on most common paint projects. Fresh paint is dry to the touch only, so we recommend you wait at least 24 hours after painting before applying.